The landscape of Northwest Vermont‘s property market continues to show healthy growth, with prices and sales rising at sustainable rates. Our market is likely to continue to see similar trends within the next year, given growing local and national economies and historically low mortgage rates. Northwest Vermont’s real estate market ended 2016 on a high note, yet some headwinds bear careful watching in 2017. Home sales rose 3.7% last year, while the average sale price increased 3.8%, representing our region’s recent history of moderate and sustainable growth. Our market is likely to experience similar trends in 2017, although there is one issue that could constrain Northwest Vermont’s property markets in the coming year: tight inventory levels. Because fewer homeowners are placing their properties on the market and construction of new homes continues to be limited, buyers are faced with fewer choices, especially in the sweet spot of housing in the mid-priced range of $200,000 to $400,000. According to The National Association of Realtors, in 2016 the median tenure for sellers living in their home was 10 years versus the historical median of 5 to 7 years. Inventory is particularly tight in many high-demand towns, including Burlington and Winooski, which is pushing some buyers farther afield as they search for affordable homes. The on-hand inventory supply in Chittenden County has dwindled to about 3 months, compared with 10 months in 2015. Sales for homes priced above $600,000 are starting to pick up, yet inventory in the higher-end segment generally remains plentiful, providing these buyers with more choices. As a result, the average sale price jumped in each of the four counties tracked by this report. Franklin County, which represents the lowest price point in the region, witnessed the largest increase, with the average sale price rising almost 8%. Relocating buyers moving to the area continue to buoy our market, thanks to growth in the health care and emerging technology sections. The unemployment rate stood at 3.2 percent in November, giving the state one of the country’s lowest jobless rates. Several other economic issues may play into our region’s real estate market in the coming year. Foremost among those are interest rates, with the Federal Reserve boosting its key interest rate by 0.25% in December. The Fed has signaled that it plans an additional three rate hikes in 2017. Because those increases will cause mortgage rates to inch up from their historic lows, we believe mortgage rates will be in the 4.75% range by year-end. Affordability remains an issue that is attracting the attention of lawmakers and advocates, given the difficulty of finding housing for low and middle-income workers. Home prices and rents have increased at an annual rate that has surpassed wage growth, creating a budget crunch for many Vermonters. The National Low Income Housing Coalition found that a modest two-bedroom apartment in Vermont requires income of almost $44,000, which is out of reach for many in the state. Builders are constructing more rental units, although housing advocates say even more are needed. As part of a buyer’s due diligence, we recommend that they discuss the potential impact of Act 46, the education governance reform law passed last year that calls for larger school districts. We advise our clients to contact their local lawmakers and school board members to provide more information on how the law could impact local communities, as some are now evaluating school mergers. Despite inventory concerns, buyers have high expectations for properties. Homes that require significant work or updating may linger on the market. Before listing, we recommend taking care of deferred maintenance and considering “smart home” upgrades such as Nest’s thermostat or lighting features. These touches are especially appealing to millennial buyers, who represent the largest share of first-time homebuyers. As always, it remains that both sellers and buyers need to reflect on their personal situation. Utilizing the local knowledge within this report and the advice of your agent – you can make an informed decision about your next move. Chittenden County Inventory levels tightened in 2016, as fewer homeowners put their properties on the market. Demand from buyers remains strong, especially for mid-priced and affordable homes in desirable neighborhoods. The average sale price rose 4% last year, while the number of transactions was little changed due to lower inventory levels. Because Franklin County has the lowest average sale price in Northwest Vermont, some homebuyers are turning to the county as they seek more for their money. Towns close to I-89, such as Georgia, have particular appeal to buyers, given the easy commute into Chittenden County. St. Albans City and St. Albans Town are seeing a resurgence in buyer activity with the revitalization of the City noted as a draw. Grand Isle County offered more affordable lakefront with rural feel versus parts of Chittenden County. A few sales can have a big impact on average sale prices or volume because the property market is relatively small. Grand Isle had an 83% Boost in land sales – to 22 parcels sold in 2016. The average sale price in Addison County rose 4.7% last year yet the number of sold units was little changed. Inventory levels have declined, although not quite to the degree seen in Chittenden County. With its easy commute into Burlington and surrounding towns, Ferrisburgh proved popular with buyers in 2016. Cities like Vergennes and Bristol, with charming character, restaurants, and services also offer affordable opportunities. Addison County’s residential market witnessed mixed trends in 2016. While the average sale price rose 4.7% last year, the number of sold units was little changed. With fewer homeowners listing their properties in 2016, tight inventory resulted in fewer choices for buyers, which also pushed home prices higher. Demand for property remains stable in the county, partly as some buyers are extending their searches to Addison County because of Chittenden County’s shrinking inventory and higher prices. The luxury market in Addison recorded three sales, with high-end buyers drawn to the county’s lakefront homes and country estates. Professionals who can telecommute to their jobs are also relocating for the county’s lifestyle and outdoor appeal. Middlebury College Alumni are often drawn back to the region. Homes in the sub-$250,000 range are in demand, where inventory can be especially tight. Buyers on the hunt for properties in the $500,000 range and higher will find more options and inventory. As it borders Chittenden County, Ferrisburgh offers an easy commute into Burlington, as well as Addison County’s towns and villages. Sales in Ferrisburgh jumped 40% last year. The average sale price rose almost 20% to $337,980. The county has recorded three sales of more than $850,000 this year. Across the county, new listings declined by 5.5%. Some towns saw tighter conditions than others, such as Vergennes, where new listings declined by almost 19%. More buyers turned to land purchases in Addison County last year, boosting sales by more than 44%. The county remains popular with people seeking to build custom homes for primary or vacation residences. The average sale price gained almost 16% to $109,786. The rental market in Chittenden County is rapidly changing due to a surge of newly constructed apartment buildings. During the past decade, the vacancy rate has hovered between 1-2%, far below the national average. The low vacancy rate and rising expenses such as property taxes, had led to a competitive market for renters, and allowed landlords to increase rents steadily each year. With almost 700 newly constructed apartment units coming online in 2016, the rental market is showing more favorable signs for renters. A higher vacancy rate is giving renters more options in their apartment searches, while also prompting some landlords to offer more flexible terms or incentives to attract new tenants. New rental buildings include Bartlett Brook, a 63-unit building in South Burlington, and the 67-unit Bayberry Commons in Burlington. Both buildings are offering one month of free rent for applicants who sign a lease by March 1, a sign of the type of incentives that are now available. Our Rental Specialist is forecasting that rent increases will moderate in 2017. Rents may decline on some older apartments that lack the amenities offered by newer buildings. It’s likely the pressure on rents will continue throughout the year, given that another 323 apartment units are expected to come on the market in 2017, according to real estate consulting company Allen & Brooks. Even though the vacancy rate has eased, our Rental Specialist continues to recommend an apartment search no more than 30 to 45 days before a move. The vacancy rate jumped to 4.4% in December 2016 from 3% a year earlier, Allen & Brooks found. In the previous decade, the rate rarely rose above 2%. The construction surge means renters have more options than in previous years. The newly constructed buildings typically have higher rents, yet some renters prefer them because of their amenities, such as parking, gyms and swimming pools. The new rental inventory and higher vacancy rate will kick off a period of minimal to no rent increases, predicts Allen & Brooks. This comes after average rent increases of almost 3% per year since 2011. A welcomed relief as the rental prices in Chittenden County are high as compared to wage levels. Because our rental expert has extensive contacts with landlords, Realtors and associations, Coldwell Banker Hickok & Boardman Realty is well positioned to help clients find the most recent properties on the market. Chittenden County’s multi-family market is experiencing similar trends as the residential market: steadily increasing buyer demand, tempered by lower inventory levels in the biggest markets for investment properties, such as Burlington and Winooski. Investors have historically been attracted to Chittenden County’s multi-family properties because of the favorable investment trends, such as a strong return-on-investment given the area’s steadily rising rents and low vacancy rates. During 2016, vacancy rate eased to 4.4%, compared with the last decade’s more typical 1-2%, in response to almost 700 new apartments coming on line during the past year. Nevertheless, our Agents report that investors continue to show strong demand for multi-family properties, given favorable trends such as a growing and diverse professional base and expanded hiring by local institutions and businesses such as University of Vermont and growing technology industry. The higher vacancy rate has prompted some landlords to offer incentives such as flexible leases or to negotiate rents. Because of the changing rental landscape, our Realtors expect inventory levels to ease in 2017, as some property owners may decide to list their multi-family properties. In 2016, 134 multi-family properties changed hands from a year earlier, with properties selling for 15.3% higher on average. As always, our Realtors are noting that well-priced properties in desirable locations quickly attract buyers. With demand from buyers remaining far ahead of supply, our Agents note that owners of multi-family properties may want to consider listing to take advantage of the market dynamics. New listings in Burlington, which is the most active town for multi-family homes, declined by 9% last year, while new listings in Winooski slumped by 42%. Both cities are popular with renters, which is sparking investor interest in these towns. With almost 700 newly built apartments coming online last year in Chittenden County, landlords may be entering a period of “minimal to no overall rent increases,” according to real estate consulting firm Allen & Brooks. Empty nesters may spur rental demand from people between 55 to 64 years old, while Baby Boomers may look for senior housing targeted to the 55+ demographic, according to Allen & Brooks. The 25-34 age group is also projected to grow by 8.5% between 2015 to 2020, which may add to demand for rental properties. The luxury market in Northwest Vermont provides plenty of options for buyers seeking properties in the range of $850,000 and higher. The market for luxury properties has been slower to pick up than lower-priced homes, and as a result, sellers have grown more flexible in their expectations on prices and negotiations. High-end buyers are typically seeking lakefront property or estates with significant views of the mountains or lake. Those properties that lack either a view or waterfront access may face more difficulties in attracting potential buyers. Popular towns with luxury buyers include Shelburne and Charlotte, which offer waterfront estates as well as properties with excellent views and amenities. In 2016, 34 luxury homes sold in Northwest Vermont. Half of the luxury sales in 2016 represented lakefront properties. The bulk of the waterfront sales were recorded in Chittenden County. Some buyers are hesitant to commit to a purchase given the time required to market a luxury home. Professionals relocating to Northwest Vermont for a short period of time prefer to rent rather than buy. Buyers with long-term ties to the area make up much of the demand in this market segment. The luxury segment, which traditionally has represented a significant portion of the county’s property market, remains slow. Our Realtors note it may be due to this summer’s low water levels on Lake Champlain which stranded some docks and created difficulties for some boaters. However, taxes for lakefront properties in Grand Isle County provide an affordable alternative to Chittenden County. Because the county is the smallest for property transactions in the region, a small number of sales may have a large impact on a town’s pricing and demand trends. Newly listed homes slipped by 3.9% last year, slightly tightening the available for-sale homes. Our Agents note that finding move-in-ready homes in the lower and mid-priced segments can be a challenge. Homes that need work or updating are more plentiful, but require more time to sell. As with Northwest Vermont’s other three counties, Grand Isle witnessed a boost in land sales, thanks to demand for custom-built homes. The number of sold properties rose 83 percent to 22 sales in 2016. The average sale price jumped more than 57 percent to slightly more than $96,000. Grand Isle’s luxury market recorded four transactions of $850,000 or higher in 2016. One of those sales was in Isle LaMotte which resulted in a 109% increase in average sale price for the town. With taxes for lakefront properties less than in nearby Chittenden County, Grand Isle County is traditionally popular for second homes. The Islands provide a great escape with a rural charm, biking trails, local businesses including a vineyard and orchards, and dining options. South Village, a neighborhood of single-family homes and Townhomes in the heart of Vermont’s beautiful Champlain Valley. The residential property market in Chittenden County continues to see strong demand from home buyers, including first-time home purchasers and luxury buyers on the hunt for lakefront or mountain-view estates. Mixed trends impacted Chittenden County’s residential market in 2017. While demand for properties is rising, fewer homeowners are listing their properties, leading to tighter inventory levels and challenges for those seeking affordable and mid price point properties. This provided an opportunity for sellers to market their homes with limited competition, often resulting in higher prices and faster closings allowing them to consider move-up options. First-time buyers may feel the greatest impact from tight inventory levels, since our Realtors report that the sub-$350,000 range represents the fewest choices. Buyers who are looking for homes priced above $600,000 have more flexibility and options, given that these homes typically take longer to market and attract a smaller group of buyers. The county’s supply of available inventory now stands at three months, compared with almost 10 months in January 2015. Because of these trends, mid-priced homes in good condition and in desirable neighborhoods may receive multiple offers and sell quickly. These market conditions are pushing some buyers to search for property outside of Chittenden County, or to consider homes that require some updating. The number of listings declined by 23% last year, creating challenges for buyers in this sought-after town. Our data shows that homebuyers search for properties in the primary zip code of 05401 more than any other zip code in the region. Sales slipped by 17%, reflecting the lower inventory available to house-hunters – not a decrease in demand. An increased number of buyers are searching for the properties in the more affordably priced New North End and Old North End neighborhoods. South Burlington’s diverse housing stock – ranging from luxury homes to entry-level condominiums — appeals to a wide range of buyers. The town’s proximity to Burlington also holds appeal. Pricing in South Burlington rose 2.3% last year, although sales volume slipped slightly, reflecting tighter inventory levels. Our Agents are reporting strong demand for newly built properties in South Village, a community planned around walking trails and a farm. Winooski is also witnessing sharply lower inventory levels, with the number of new listings plunging by 37.5%. Winooski’s revitalization, bringing new restaurants, condominium developments, and stores, is attracting professionals to this former mill town. Lower inventory and increased demand is driving prices higher. The average sale price rose 8.25% to $232,096. Sale volume in Shelburne and Charlotte jumped 37.5% and 34%, respectively, last year. With more buyers coming into these towns, properties that had lingered on the market went under contract. Some sellers were able to take advantage of market conditions and become move-up buyers, helping to boost sales in the $500,000 to $900,000 range, our Realtors note. The higher average sale prices in these towns reflect the sales of these more expensive properties, rather than price appreciation. The substantial decline in closed sales reflects a correction after an unusually higher number of sales in 2015. As with the residential market, inventory for multi-family properties has tightened in some of the more popular towns with buyers, such as Burlington and Winooski. Within Chittenden County, the average sale price rose 15.3%, while the number of transactions rose 11.7%. For a longer discussion of trends, please see our multi-family section in this report. First-time homebuyers and professionals who are seeking more for their money are turning to Franklin County as an alternative to pricier Chittenden County. With an average sale price of $206,483, Franklin County is the most affordable county among the four in Northwest Vermont. Nevertheless, pricing and demand varies considerably from town to town. 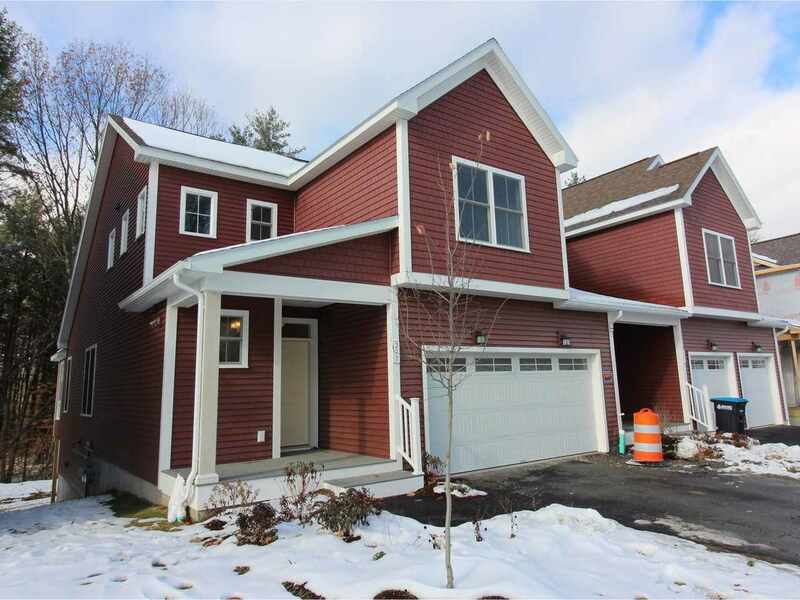 Our Agents note that towns on the eastern side of the county – which are more remote and farther from I-89 – typically are in lower demand than those closer to the Interstate. Homes sold for an average of 97.3% of their listing price, illustrating the growing demand for properties in the county. Our Realtors note, homes that are in good condition and well-priced are selling extremely quickly. Inventory in Franklin County grew tighter in 2016, pushing prices higher. Buyers seeking properties in the sub-$220,000 range have been the most challenged, especially when seeking homes in good condition. Buyers are seeking properties in towns along the I-89 corridor, since it provides a quick commute into Burlington and Chittenden County. Sales in Georgia, for instance, surged more than 56% last year. St. Alban’s City is drawing praise and new buyers after a $3 million renovation to its Main Street. Sales in the city jumped by one-third last year. St. Albans Town is also benefitting, with sales increasing 20%. Expansions and renovations to the North Western Medical Center also improve the quality of care offered to area residents. Franklin County also saw a surge in land buyers, with the number of sold parcels jumping almost 52 percent last year. The average sale price rose more than 31 percent to $113,361. The Vermont Market Report is designed to provide you with important highlights on the real estate market in Chittenden, Franklin, Grand Isle, and Addison County by town, and with a special analysis of the luxury and multi-family market segments. We understand the questions our customers face when making one of their biggest financial investments. Utilizing the local knowledge within this report and the advice of your Agent, you can make an informed decision about your next move. The Coldwell Banker Hickok & Boardman Market Report is based on data collected from internal and external sources such as the Northern New England Real Estate Network and does not represent privately negotiated transactions unless so noted. All material herein is designed for information purposes only and has been drawn from sources deemed reliable. Though the data is believed to be correct, it is presented subject to omissions, errors, changes or withdrawal without notice. The report is not designed to solicit property already listed. The report is not intended to predict future results. This does not constitute and is not intended to constitute property investment advice or an offer to sell or the solicitation of an offer to buy any property. Copyright © 2012 Northern New England Real Estate Network, Inc. All rights reserved. This information is deemed reliable but not guaranteed. The data relating to real estate for sale on this web site comes in part from the IDX Program of NNEREN. Subject to errors, omissions, prior sale, change or withdrawal without notice. IDX updated hourly. Copyright © 2019 Coldwell Banker Hickok & Boardman Realty. Coldwell Banker is a registered trademark licensed to Coldwell Banker Real Estate LLC. An Equal Opportunity Company. Equal Housing Opportunity. All Offices Are Independently Owned and Operated.